Today is our Summer Party. We are enjoying the sandwiches. Fairy cakes are my favourite. I will miss having these parties. We are having great fun. Parents are so happy they join in. I had alovely picture with the staff. Look at our Year sixes. On to a bigger and brighter future. Sad to see them all go. I made some special friend. We all have had so much fun here. Goodbye and good luck to you all!! The children wrote some lovely goodbye comments. Happy Eid and Fathers Day. We are colouring pictures for Eid. I am making my family an Eid card. My friend will love this card. We are celebrating Eid too! Look at my lovely card. Have a special great day everyone!!! My dad loves motor bikes. Happy Fathers Day! To all our great dads! We are making healthy fruit salad. We used lots of fresh fruit. I love the smell of the mango. The melon is really juicy!!. An apple a day keeps the Doctor away!! I poured the orange juice in the end. Look at our delicious fruit salad. We will enjoy our fruit salad at home. We made healthy salad as well. Look at me, I'm cutting the salad carefully. We will really enjoyed both salads. Look, the flowers are out. We enjoy cold ice lollies on hot days. Its great to do our activities outside. Our display will look great. We relax sitting in the shade. Playing and relaxing with my friends. Football is the best game ever! We are wearing special clothes for Vaisakhi. We are making chocolate nests for Easter! We stired in the rise krispies. Be careful, don't drop any. Let me add the eggs on. I love making chocolate nest!! Can we make some please? Easter is coming and we're having great fun! We decorated our nests with chicks. Look at our fantastic Easter Nest! Yummy yummy! Enjoy your Nests. We are decorating biscuits to raise money. I love making icing patterns. Look at my lovely design. We love helping and raising money for children. Look at the fantastic colours. We are making mother's day cards for our mum! Shh... keep it a secret. Look at our beautiful cards. Look at my beautiful flower pot! I am colouring a picture for my mum. We love playing outside in the snow. Teachers like to throw snowballs too! We are having soo much fun! We are making lantern for the Chinese New Year. We have to cut carefully then join the ends. We added lots of decorations to make them nice. I added a handle to hang my lantern. Look at our fantastic Lanterns. It was exciting to do Chinese colouring. Chinese People use chopsticks to eat their food. Surprise!! we are Chinese Dragons. We are so happy it's christmas time! The star is shining bright tonight! Time to turn lights on. We are making colourful paper chains. We are using lots of different colours. Our paper chain looks sparkly! We are making cards for our families. Look at our great cards! I am writing my card to my dad and mum. They produced some fantastic cards! I love doing Christmas activities. We are making Christmas trees. We have to fold it carefully too. Look! Our trees are fantastic. We have a very special visitor!! We are lucky, she is here for Christmas!!! How great are our Christmas stars! It's time for a Christmas party! We are enjoying our food. We are happy to see our special visitor again! I am having lots of fun! We are playing musical statues. Look at our dance moves! We are shaking our hands and legs. The DJ playing Christmas songs. I am the winner of musical statues! We are raising money for Children In Need. Look at us decorating cakes. I love making different patterns. Blue Colour icing is my favourite. Yum Yum I can't wait to eat them!! We used different sprinkles for our cakes. I love helping children to decorate cupcakes. Look at our fantastic designs. We enjoyed colouring Rangoli patterns for Dewali. We enjoyed colouring some Rangoli patterns. Look at our yummy Halloween party food. Thanks to the parents who donated the balloons. We are helping making club display. Look at our colourful display. We are very happy in the club. Look at our lovely model. Welcome to the Sunshine Club! 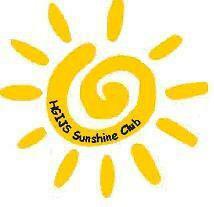 Our Sunshine Club is for children aged 4 - 11 years old, who attend Hall Green Infant and Nursery School and Hall Green Junior School. We offer a " home from home" experience, with both indoor and outdoor play. Morning session 7.45 - 8.55 a.m. The children can have a light breakfast of toast, cereal, fruit and a drink on arrival. A range of quiet indoor activities are available for them to choose before being escorted into school by the club staff. Afternoon session 3.20 - 6.00 p.m. The Infant children are collected from the classrooms and the Junior children make their own way across the playground to the club. They are offered a snack which may include, fruit, toast, biscuits and a drink. After this they very often share their news with the other children or have a club council meeting. The children can then choose from a range of activities, art, games, cooking, crafts and outdoor play. Parents can collect the children up to 6.00 p.m. All the children would agree coming to club is fun and some of them don't want to go home! Fees are due for the week in advance and payment is accepted by cash, cheque, BACS transfer or Childcare Vouchers. In all cases, once a place has been booked, there will be no refund if the place is subsequently not used. If you need any further information or have any queries, please do not hesitate to contact the Sunshine Club staff or Mrs Derham in the School Office. Welcome to our end of year party. We are enjoying our party outside. Look at our yummy food! My Dad came and had some party food. We really enjoyed our party. We are having a cold ice pop. Thank you to all our staff . We are enjoying looking at my model! We are making Fathers Day cards. We are working hard on our cards. I wrote a nice message for my dad. Our Dad will love theses cards we made. Look at my dads lovely card. My Dad will have a lovely surprise! Our beautiful selection of vegetables. My Gran say's always eat your vegetables. We started to cut them into small pieces. We mixed them all together in the bowl. We filled them into cups. Look at our delicious salad. Yummy! We are enjoying our crunchy salad. Look at all the colourful fruits! Time to start cutting the fruit. Look I have cut all of my fruits. I like apple and red grapes. We're enjoying our delicious fruit salads! Our fruits salads ready to take home. Enjoying these hot sunny days!!! We are making cards for Easter. We had fun using lots of different materials. Look at our amazing cards. We also made delicious Easter Nests! We stirred the rice krispies into the chocolate. We then filled rice krispies into our cup cakes. We decorated our nests with chicks eggs. I made a beauitful 3D origami Easter Egg. Red Nose and Mothers Day. For Red Nose Day we decorated biscuits. We all made different designs on our biscuits. look at our designs ! We managed to raise £35 for Red Nose Day. We love wearing our noses for Red Nose Day!! They also made fridge magnets for their mums. We cut the petals carefully. It was fun making the magnet flowers! look at their fantastic artistic work. We enjoy lots of different activities in the club. Playing with Dual Master cards is awesome!!! We like playing with the construction games. I love the monopoly because I win lots of money. I' m great at playing hang man! We enjoy reading, it is so cool. We all enjoy playing the card game Cheat. We also enjoy many different art activities. The toast is my favourite, its so scrumptious!!!! We coloured some brilliant dragons. I am colouring my dragon green. Look at my dragon its fierce!. We also made some great chain dragons. This is the face of my dragon. We made a chain for the body.